GHOST is a set of 3x 128 beautiful looped WAV textures, packed into 128 preset instruments, ready to be inserted into your projects with one click. The sounds range from detuned raw synthetic waveforms to combinated acoustic distractions and textures. Each instrument has access to all 128 waveforms with the touch of a single knob. 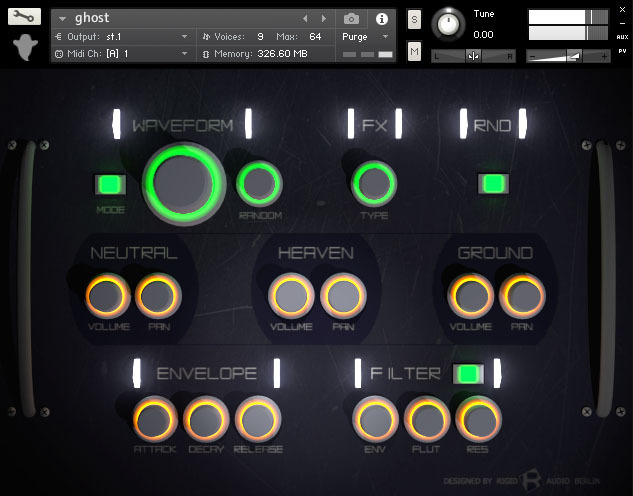 GHOST comes with some unique features, like the one-knob multi-effector which feeds audio into one of five different realtime effects. GHOST comes as a KONTAKT 5.1 instrument as well as a Ableton 9 Live Suite Live-Pack (*.ALP). 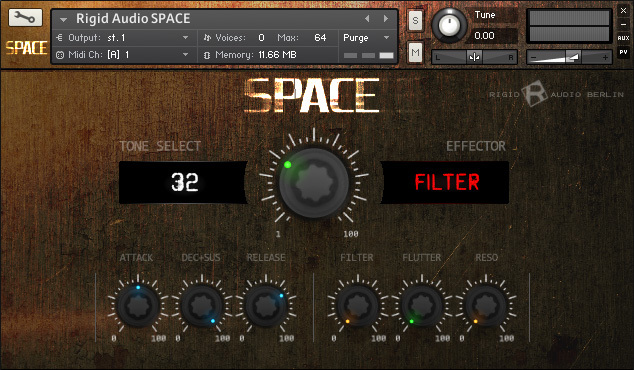 SPACE is a set of 100 looped dark and menacing WAV textures and drones, designed and ideal for movie scoring. SPACE comes with a one-knob multi-effector which feeds audio into one of five different realtime effects, a filter envelope with flutter and basic volume attack, decay and release controls. 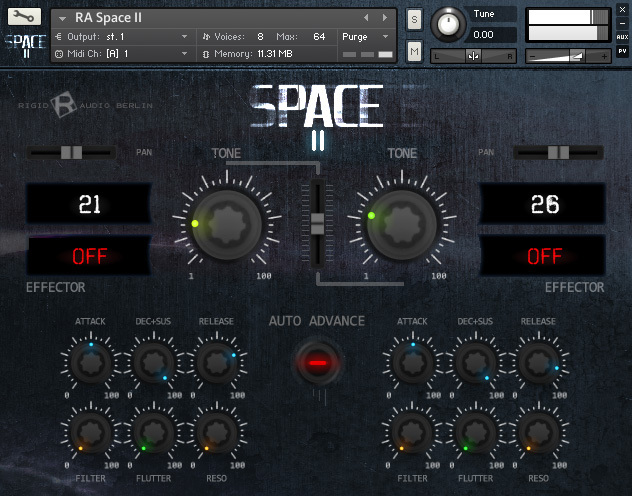 SPACE II is a set of 100 all-new looped dark and menacing WAV textures and drones, designed and ideal for movie scoring. The library size is now approx. 700 MB. SPACE II has now two independent parts, that come with a one-knob multi-effector which feeds audio into one of five different realtime effects, a filter envelope with flutter as well as basic volume attack, decay and release controls each. Furthermore you can pan each part in the stereo field. There is also a new "Auto Advance" feature, which selects consecutive tones automatically upon playing a note.